Lucia has started teething and she's a drooling mess all the time. Lucky, there is no sign of teeth yet so there is currently no pain. We are equipped with a few essentials that have been making our lives easier. First, I would like to share Munch Mitt with everyone. I didn't have a Munch Mitt with Jack or Dylan but I'm so glad I have one for Lucia! 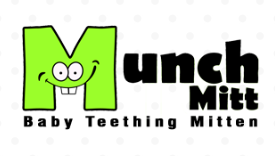 Munch Mitt is an innovative, eco-friendly undroppable teething solution perfect for ages 3 months to 12 months. It provides pain relief for teething babies who are still learning consistent grip and direction and protects the hands from irritation due to chewing. Made with BPA and phthalate-free, food grade silicone and soft, breathable, water resistant fabric, Munch Mitt has been tested to ensure it meets or exceeds all federal safety requirements. It features an adjustable strap and it's textured flexible silicone surface provides soothing teething relief and easy hand to mouth access for baby. Bibs, bibs, bis! This girl needs to wear them all the time! Of course they have to be cute, right? Bamboo Button bandana bibs are not only adorable - they came in an array of stylish patterns for boys and girls - but they are super functional. These stylish super absorbent bandanas are made of of soft cotton and feature a two button clasp that can be adjusted as your little one grows. Finally, now little Lucia is learning how to hold on to things, we decided to introduce her to SweeTooth. SweeTooth teethers are made from 100% premium silicone and are BPA-free, phthalate-free, PVC-free, and lead-free. Available in a 3 sweet colors, SweeTooth are perfect for little ones who are able to grasp and hold on to items. Lucia loved hers! 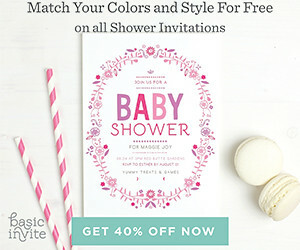 These look like a great idea for the babies. It's a stupendous site for guiding people in nourishment of their babies.